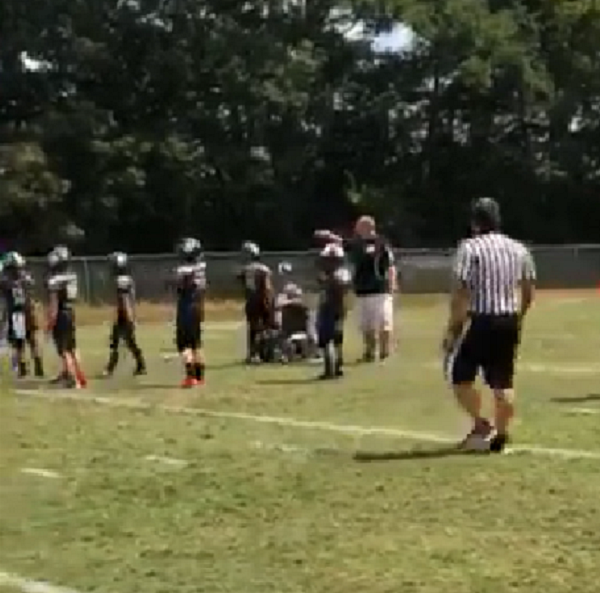 Crowd Goes Wild When Boy With Cerebral Palsy Makes 1st Touchdown In Emotional Video. There’s very little you can’t accomplish in life if you’ve got the right friends behind you. 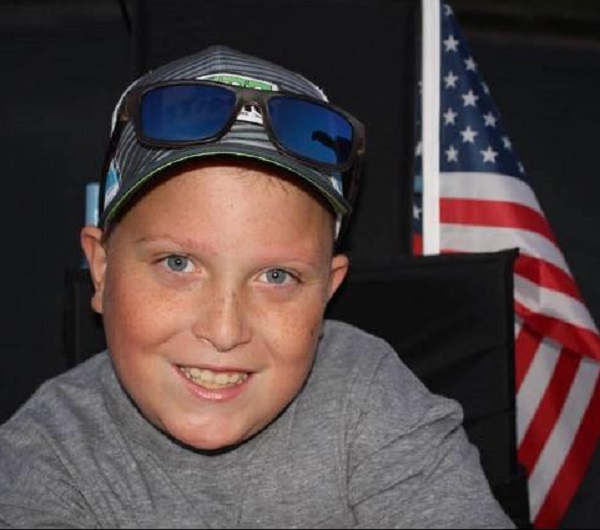 Ten-year-old Hayes Hutto of Commerce, Georgia has always loved football. 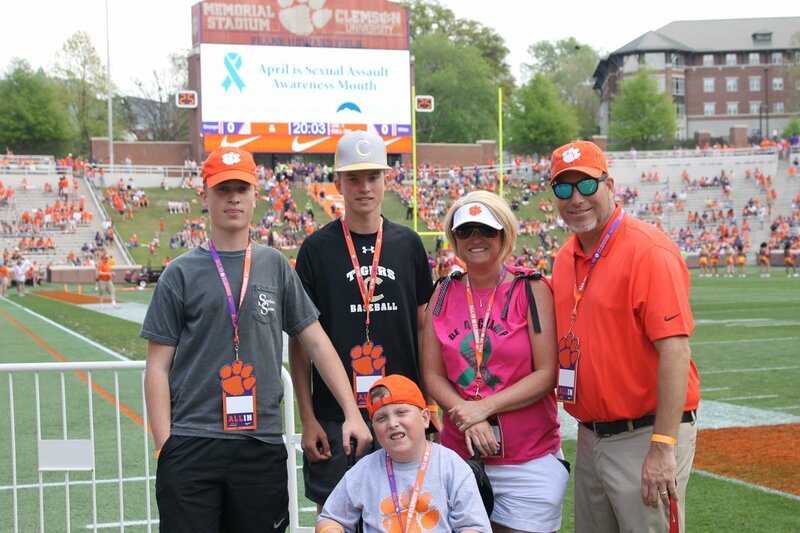 The walls of his bedroom are plastered with orange Clemson football decorations, and he’s always the first one cheering for his favorite local and national teams. 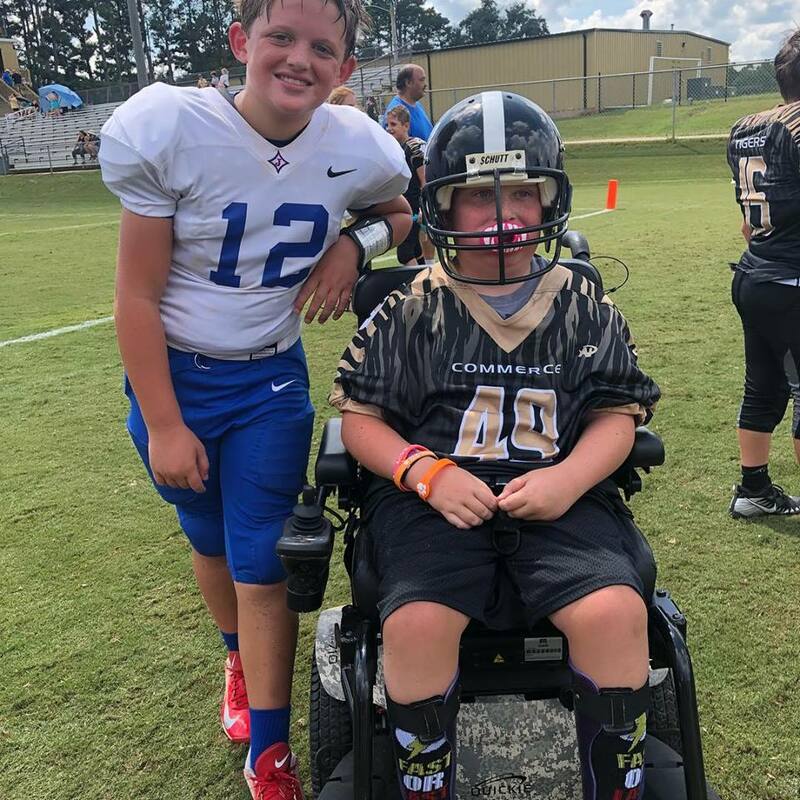 The cute, freckle-faced boy has always fostered a dream of scoring a touchdown of his own, but there’s only one thing holding him back: Hayes has cerebral palsy. Hayes was only 18 months old when he was diagnosed with CP, and he now relies on a motorized wheelchair to get around. Although he can’t play himself, Hayes has lots of friends in the local youth football league. 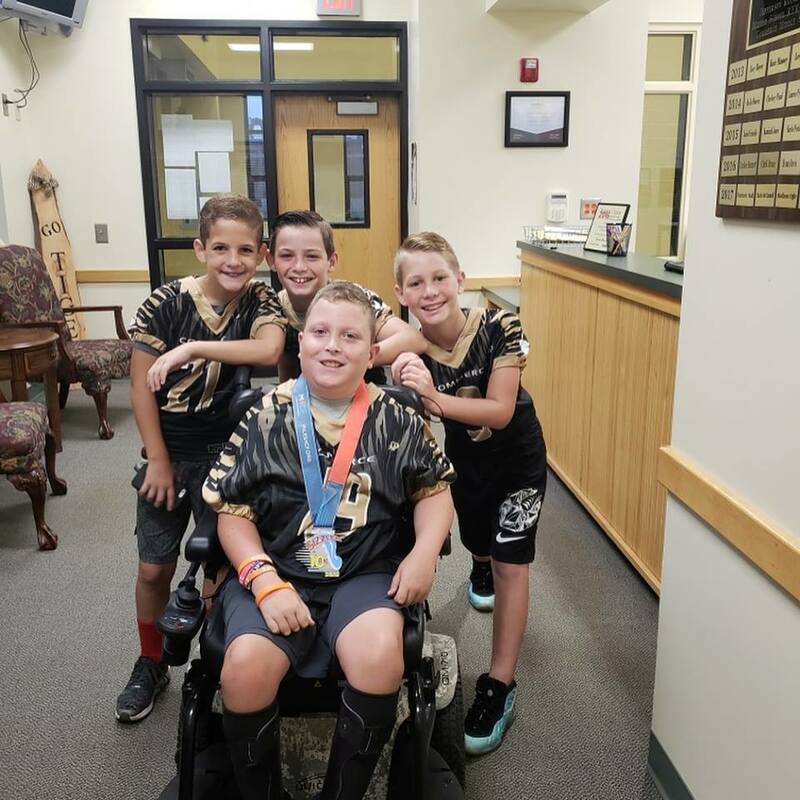 As a big game against the town’s biggest rivals, the Jefferson Dragons, approached, Hayes let his buddies know that he’d be there on the sidelines to root for the home team. Hayes’ two best friends, Brody and Joseph, talked to their coach and decided to do something special for him. The boys gave Hayes an official Commerce Tigers jersey and made him an honorary member of the team! As if this inclusion wasn’t special enough, it turns out the team had even more surprises in store for their friend Hayes. On game day, after the time had run out, the coaches requested one last play. That’s when they asked Hayes to come out onto the field. “We weren’t expecting for anything to happen other than being on the sideline with the team. Coach said he was going to try to put him in,” said Hayes’ dad, Jon Hutto. The coaches and refs carefully lined up the players, with Hayes in his wheelchair, right in the center position as quarterback. The announcer on the PA system proceeds to take a page from the movie, “Rudy,” leading the crowd in a chant of Hayes’ last name. “Hut-to! Hut-to! Hut-to!” the crowd chanted as all of the players run down the field alongside Hayes in his chair. Once they’re in the end zone, the announcer gleefully announces that Hayes just scored his first-ever touchdown, and the crowd goes wild! 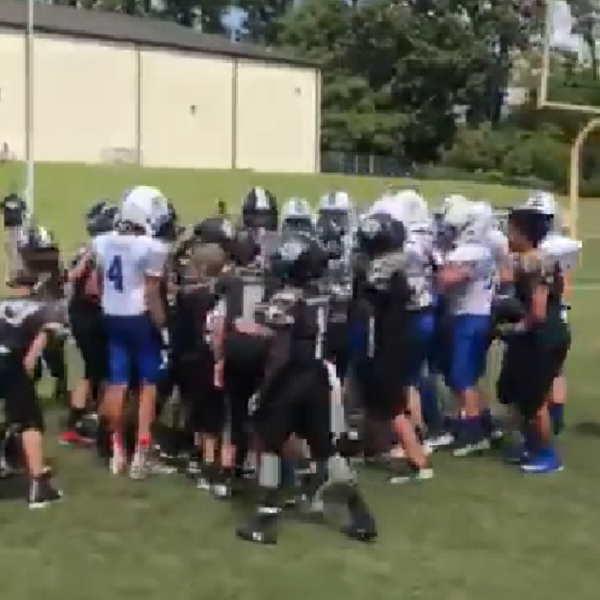 In spite of the two teams’ ongoing rivalry, every single player from both teams couldn’t wait to pile on Hayes to congratulate him for his first touchdown. The old rivalry may still live on, but for this day, at least, they were all on the same team. 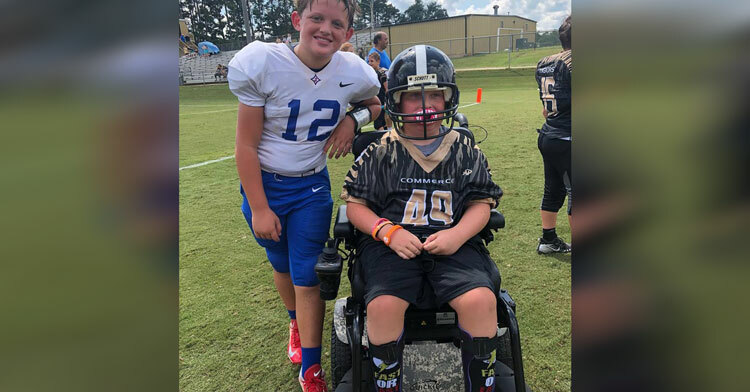 Hayes made sure to pose for a post-touchdown picture with his cousin, Britton… who’s a member of the opposing team. 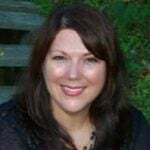 Hayes’ mom Jodi Hutto shared her video of the moment Hayes will never forget, calling it “one of the most humbling moments of my life.” Both Jodi and Jon were quick to praise the Commerce and Jefferson communities for making this moment so incredible not just for their son, but for everyone who was able to experience it that day. “It’s cool that both schools are huge rivals but were able to set that aside yesterday. Both stands were hollering and cheering,” Jon said. This right here is what youth sports are all about, people! What rivalry? We’re all humans and we’re all on the same team. Thank you to these two communities for showing us the true meaning of sportsmanship and camaraderie. 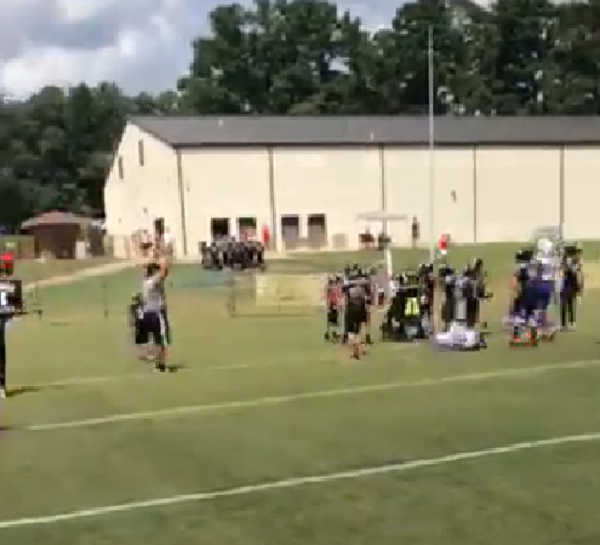 Watch Hayes scoring his first touchdown below, and be sure to share with a sports fan! So this happened today…. Hayes Hutto gets his first ever touchdown! Love the Commerce and Jefferson community for giving him this opportunity! One of the most humbling moments in my life!